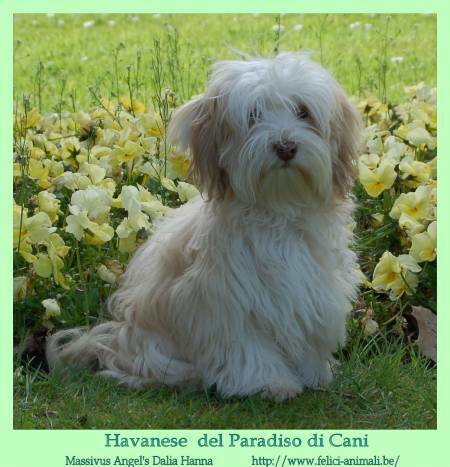 Massivus Angel's Dalia Hanna - "Dalia"
Dalia is a wonderful Havanese who loves doing Canine Freestyle. She is selected for the Dog Sport Award of "Best Dog Dancer 2009" (Belgium) - She obtained the 3rd place !! !